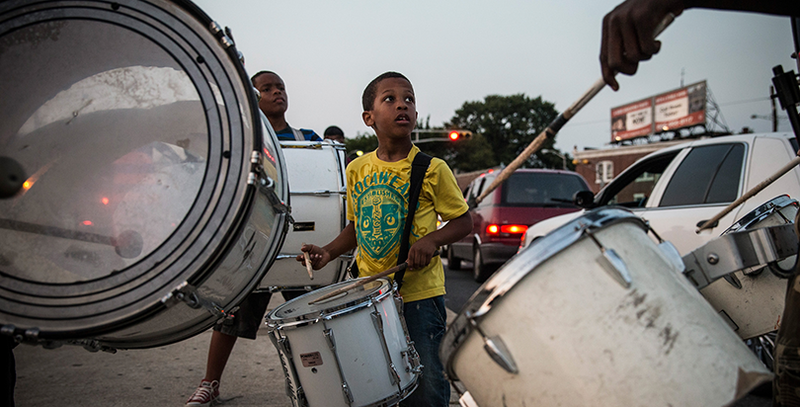 Could one of the nation’s most troubled cities also be a surprisingly good fit for #edreform? (Camden, New Jersey) — On a weekday evening in February, 75 people who love Camden, New Jersey, gathered at an office building downtown for Mayor Dana Redd’s monthly debrief — an update on the state of the city with presentations from a rotating cast of city managers. The headliner for February’s meeting was two and a half years into one of the more ambitious reclamation projects in any American city. Paymon Rouhanifard, a slender and focused one-time financial analyst, had cut his teeth in Bloomberg-era education battles in New York City before being appointed superintendent of Camden schools at just 32 years old. He arrived amid controversy but responded with a promise to bring “dramatic change” to a city perennially identified as the poorest and most dangerous in the country — and more precisely to public schools so dysfunctional that 90 percent of them ranked among the worst 5 percent in New Jersey despite spending on average more than $25,000 per student. 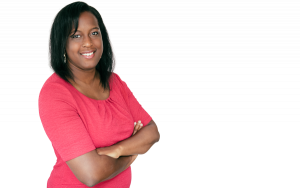 Mayor Redd said she quickly became an admirer. Rouhanifard’s consultative style — he’s an intent, look-you-in-the-eye listener — was important, perhaps essential, to the success of his deceptively radical plan to transform the city’s barely afloat local schools into a system that offered every student a menu of charter, renaissance, and traditional public schools, with an improved choice in every neighborhood. (Renaissance schools are similar to charters but accept all children within the school’s neighborhood zone first, rather than through a lottery.). 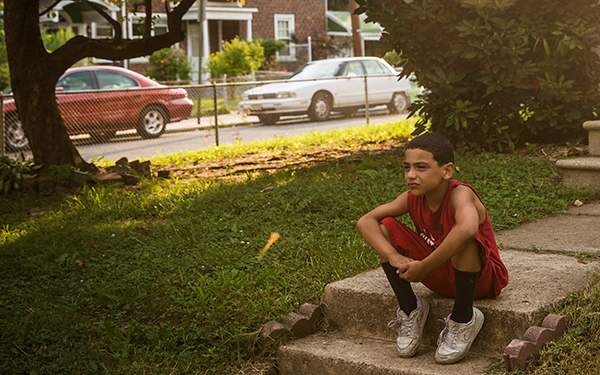 With 11,000 students in traditional schools (and another 4,000 in charters), Camden’s system was almost small enough for Rouhanifard to personally explain to each family the fundamentals of his reform plan: improve traditional public schools (targeting leadership, instruction, and climate), centralize the city’s enrollment system (allowing students to apply to as many as 10 schools anywhere in the city), and turn over management of poor-performing neighborhood schools to charter networks that succeeded in other cities with disadvantaged children. The new schools would educate the same students in the buildings they already attended — or in all new facilities. It was an ambitious if unproven agenda for a system that consistently performed at the bottom of the state, but the circumstances were favorable in important ways. The state of New Jersey had taken control of Camden’s schools a few months before Rouhanifard arrived in August 2013 — he was selected by Gov. Chris Christie rather than the school board. Some residents felt disenfranchised, but it gave Rouhanifard unprecedented power to make unpopular choices. His pedigree as a top reform strategist — including a stint with former Newark Superintendent Cami Anderson that put him on Christie’s radar — earned the support of the state’s top charter leaders and the backing of influential city and state officials (the governor released a list of endorsements for the appointee under the headline “Prayers Have Been Answered”). The absence of significant political resistance gave Rouhanifard advantages over his predecessors — he was the city’s 13th superintendent in 20 years — as well as other reform superintendents across the country. 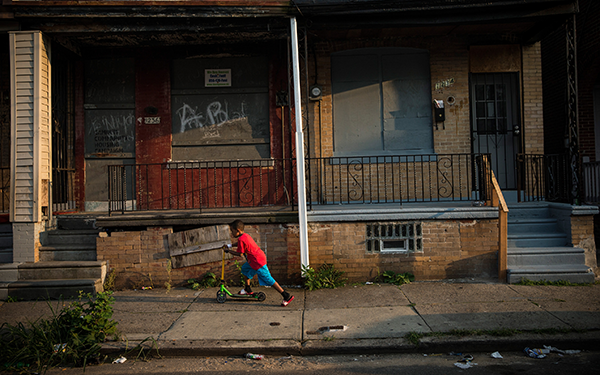 Additionally, with only 76,000 inhabitants and overshadowed by the much larger and nearly equally troubled system in nearby Philadelphia., Camden wasn’t likely to attract the national media scrutiny that volatilized large-city reform efforts in New York City, Washington, D.C., and Chicago in the No Child Left Behind era. Nor was it possible for the schools to get much worse. Even the local teachers union, in most districts a fierce opponent of non-unionized alternatives to traditional schools, wasn’t particularly active in Camden (its parent, the New Jersey Education Association, is considered one of the strongest in the country). In all, the pressing need to help Camden’s children and an unusually favorable political moment conspired to make the Camden Commitment — as the district called its rebuilding plan — perhaps the best test yet of whether education reform on the scale of a city could actually work. “Poverty is really at the root of our challenge,” Rouhanifard told city leaders at the mayor’s downtown gathering that February evening. He recited a litany of new programs and gains around absenteeism, graduation rates, and school renovations. “I feel really good about the progress we’ve made,” he said. Directly across the Delaware River from Philadelphia, about a 35-minute drive south from George Washington’s famous crossing, and surrounded to the north and west by affluent suburbs, Camden’s weedy lots and boarded-up blocks don’t call to mind the prosperous manufacturing center it once was. For seven decades the city’s riverfront was home to New York Shipbuilding, the largest shipyard in the world during World War II and source of many of the vessels that landed at Normandy on D-Day. The Victor Talking Machine Company, later RCA Victor, produced phonographs and several famous recordings, while Campbell’s gave the country chicken noodle soup. Having armed, entertained, and fed Americans didn’t protect Camden from the post-war industrial decline that beset nearly every northern city. Manufacturing jobs declined by 65 percent between 1950 and 1972; the loss of capital triggered the flight of commerce and the white middle class to outlying areas. Riots in 1969 and 1971 extinguished lingering hopes that the city might regain its former prosperity, according to many contemporary accounts, and corruption in City Hall accelerated the fall. Three mayors were imprisoned between 1981 and 2000; one, a former superintendent, padded his salary with public school funds. (Another, the widely loved Angelo Errichetti, served 32 months for his role in the federal influence-peddling scheme known as Abscam, subject of the film “American Hustle.”) In 2010, malfeasance among rogue cops forced the city to reverse or drop charges in more than 200 cases and pay millions in damages. Over time, the city became iconic as a symbol of urban distress; it was frequently dubbed "the most dangerous city in the U.S." or "America’s poorest city,” or both. These weren’t exaggerations.. In 2014, Camden residents had a median household income of $26,202, with 39 percent living in poverty and almost a quarter earning $10,000 or less. Just 8 percent of those over 25 have a four-year college degree — compared to 29 percent nationally and 36 percent in New Jersey. Camden’s violent crime rates began trending downward after the county took over police operations in 2013. 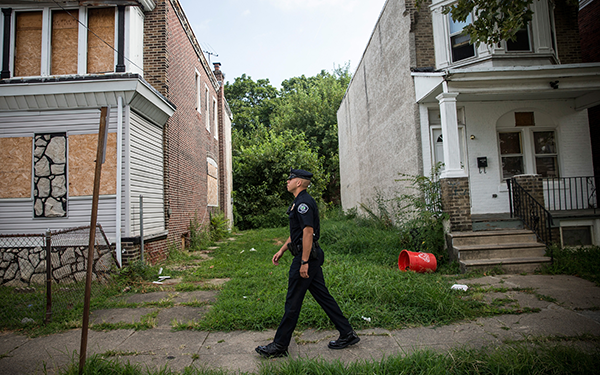 As recently as 2014, however, violent crime in Camden was the highest in the nation among cities its size — 55 percent higher than the next most violent city. Its murder rate was nearly twice as high as any other city its size. 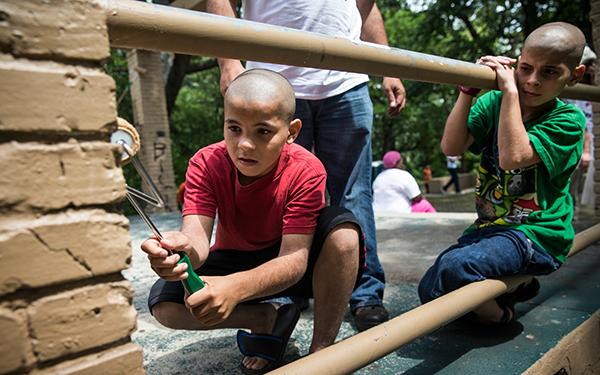 But a city is more than a litany of statistics or a narrative of misrule, and Rouhanifard soon found residents who were hopeful about fixing its problems and committed to helping the schools improve. The district’s poverty and trauma — Christie called it a “human catastrophe” — translated into low performance on every marker of student achievement. In the year preceding state takeover, 23 of 26 Camden schools — 90 percent — performed in the lowest-achieving five percent in the state and included the three worst performers. Its four-year graduation rate in 2012 was 49 percent — compared to 86 percent statewide. Fewer than 20 percent could read at grade level and only 30 percent were at grade level in math. At whistle stops, Christie noted that only three Camden students who had taken the SAT (out of 214) scored above the College Board’s benchmark for college readiness — a cut-off many educators considered too high (and which distracted from the fact that 255 12th-graders, more than half, didn’t take the test at all). But the state takeover was far from unanimously welcome. 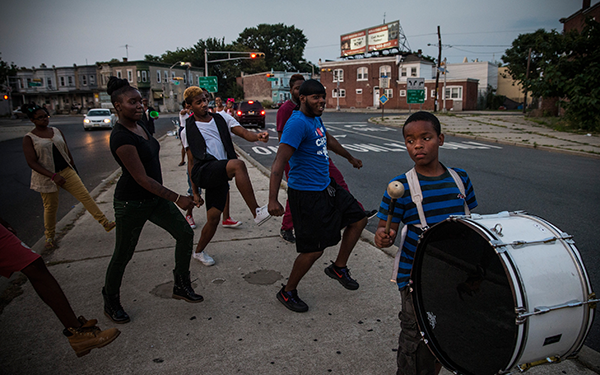 Camden had only recently emerged from eight dismal, unfruitful years under state management. Education advocates bitterly complained that taxpayer and parent participation in district policy had been marginalized — especially because, unlike New Jersey’s handful of other state-run districts, Camden’s school board was appointed by the mayor rather than elected. “Camden is the only district in the state that is under state takeover, that has an appointed school board and a state-appointed superintendent,” said Keith Benson, a Camden teacher and public school parent who oversaw public relations for the local teachers union. 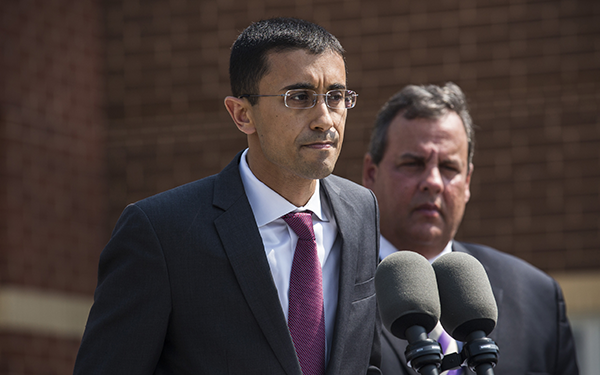 Christie’s appointment of Rouhanifard was applauded by the new superintendent’s wide circle of reform movement colleagues and political supporters, but opponents of takeover argued that his youth and affiliation with strongly pro-choice districts made him little more than a front man for Christie and anti-union interests. "He would've never made the cut of a national search because he has no expertise in areas he would be responsible for as superintendent," former Camden school board member Jose Delgado told The Philadelphia Inquirer. In response to these doubts, Rouhanifard later said, he devoted himself to building trust in school communities, embarking on a 100-day, sometimes door-to-door listening tour. When he appeared on her step, lean as a plank — his black hair cropped at the crown of his forehead — to ask her views about the district, Alicia Rivera was floored. In response to parent concerns about safety, Rouhanifard (with the mayor and police department) created “safe corridors” to and from schools, stationing officers along high-density or more dangerous routes. In something of a break from the rhetoric of “no-excuses” reformers, he also underscored the need to improve non-academic services for at-risk students. Over time he increasingly called out poverty and racism in his discussion of school improvement. He recalled a recent visit to the home of a boy who had missed 54 days of school. The father, who suffered from health problems, didn’t know his son had been absent. “His home is basically uninhabitable,” Rouhanifard said. The district contacted social services, which moved the boy to his grandmother. The effort to build charter and renaissance schools that would absorb children from Camden’s worst academic settings had been started by influential New Jersey figures before Rouhanifard arrived. George Norcross, the Democratic powerbroker in South Jersey, had advocated for charters for years; his brother, Donald, then a state legislator, sponsored the 2012 Urban Hope Act, which provided funding and construction incentives for the state’s worst districts if they chose to create renaissance schools. The Norcross family foundation subsequently recruited KIPP New Jersey to manage a renaissance school in Camden, according to Drew Martin, KIPP’s local director. Rouhanifard also hitched his star to renaissance schools. Since he arrived, the district has closed two traditional schools and two charters, while adding seven renaissance schools. Three large networks — KIPP, Uncommon Schools, and Mastery — were approved for up to 16 renaissance schools totaling approximately 9,000 seats. Mastery, a respected renaissance operator with several schools in Philadelphia, announced plans to construct its own building for the fall of 2017. Rouhanifard suggests that he sees renaissance schools a useful way of threading the needle of the charter/district debate. The district also launched an open enrollment system in November that allowed students to apply to as many as 10 charter, renaissance, or district schools outside their zone. (Students who want to attend their local school don’t need to use the new system.) To help with decisions, his administration created reports that describe the demographics, performance data, and academic programs of every Camden school, and give each an overall rating. Like many new superintendents in urban districts, Rouhanifard inherited a legacy of poor budget practices that led to persistent deficits and classroom cuts. Past district administrators relied on one-time revenue boosts to plug an ongoing shortfall they created by failing to reduce staff proportionally to the exodus of district students to charters. As a consequence, the district started each year facing a budget crisis. When Rouhanifard arrived, about one-quarter of the city’s 15,000 students had moved to charters, leaving a $72 million deficit in a then-$330 million budget, according to figures provided by his office. He laid off more than 200 teachers and 94 central office staff in 2014 — a move he called “devastating but necessary” — and laid off or discharged more than 150 teachers and staff in each of the past two years. The district says its shortfall has been reduced by nearly half, to $39 million, since 2014. That strategy may face its strongest test in the form of a June proposal from Gov. Christie, Rouhanifard’s sponsor, that would send a flat level of state aid — $6,599 per student — to each New Jersey school district regardless of the poverty of its students. Early estimates indicate that Camden’s state funding would be reduced by more than 75 percent By contrast, Camden’s far wealthier neighbor, Cherry Hill, would receive a 452 percent increase. “We're learning more about this proposal and plan to listen as discussions continue over the coming weeks and months,” said a district spokesperson about the potentially crippling cuts. Additionally, Camden also makes ever-larger payments to charter and renaissance schools as more students enroll in them. During the 2015-16 school year, it transferred almost $58 million to charter schools and $39 million to renaissance schools, according to figures the district presented at a March budget hearing. Some critics worry about where the transfer of resources away from traditional schools will end. Rouhanifard has said he envisions the district as a blend of different school models. Even critics admit that Rouhanifard continues to engage families and activists around the district’s agenda; his ongoing participation in community, parent, and teacher meetings appears to be making a difference. “I always feel like he’s taken the school reform playbook and thrown out all the things that were horrible and didn’t work with Cami in Newark,” said Sean Brown, parent and former Camden school board member, referring to the stormy tenure of that city’s former superintendent. “I think we have a certain responsibility to take on those conversations, to be open and transparent and respond to the community’s needs,” Rouhanifard said. So far, at least, the new changes are rolling out without incident. KIPP Cooper Norcross and Camden Prep report promising first-year internal assessments, the enrollment system launched smoothly, and older buildings are being repaired while new ones are built. Criticism of the administration has failed to gain traction. At a recent conference (at which he was picketed by protesters), Rouhanifard expressed optimism about the district’s progress but cautioned reformers from prematurely touting Camden as a potential national model. The decades-old problems facing the district are rooted in a legacy of “poverty and institutional racism,” he said. Editor’s Note: The 74’s executive editor, David Cantor, previously consulted for Camden Public Schools.